The 2017 NBA | FIBA Basketball Without Borders is set to go down in New Orleans during the NBA All-Star break and the Canadians invited are Simi Shittu, Emmanuel Akot, Lugentz Dort and Ignas Brazdeikis and Noah Kirkwood. All five Canadian prospects are having impressive seasons with their respective teams and are being recruited at the highest levels of college. Recruitment in player profiles linked above. The NBA | FIBA Basketball Without Borders is a platform for these young prospects to build their stock in front of NBA and other International pro personnel. We just finished watching Shittu and Brazdeikis in Rhode Island while Dort and Akot are having their ways with their respective programs. Kirkwood was sensational at the St. Mike’s Invitational earlier this month and has been much of the same all season. The Lithuanian sniper, Brazdeikis is sure to pick up a few more offers based on his performances this weekend. Shittu, Akot, Brazdeikis and Kirkwood represented Canada together this summer while playing on the U17 FIBA World Championships in Spain that finished in fifth place. The five Canadians selected for Basketball Without Borders are all looking to take from this event but also display and prove their worth at the highest levels. Its been five years of learning about these prospects and tracking their development, they’ve grown every year yet have deficiencies that are being addressed daily. 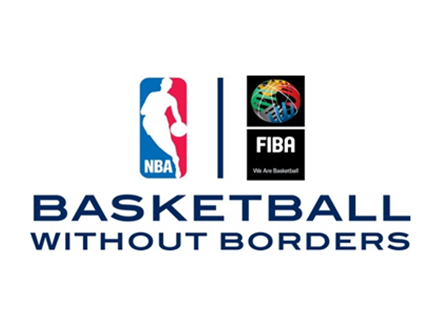 The NBA | FIBA Basketball Without Borders will be a unique opportunity to harness their skill sets and see how they stack up against the best in the world at their age groups. Simi just got on to ESPN’s top 10 for the class of 2018, Ignas will likely earn MVP of the OSBA season and Emmanuel has narrowed down his list to four big time programs in Arizona, Louisville, Oregon and Utah and is also ranked 21 in ESPN rankings. Luguentz is setting up visits for his list of schools and has jumped up in nearly every ranking system across North America. The 5 have been at the Top of the Canadian class for over three years. Kirkwood we believe will be the one to really open eyes for scouts simply because he hasn’t got an opportunity in International play to show that he is able to play either guard position. The best is yet to come from the quatro of Canadian studs.